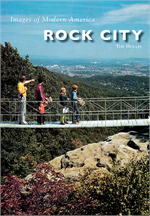 Since May 21, 1932, tourists have been making the trip to the top of Lookout Mountain to stroll through what pioneers as far back as the 1820s called “the rock city.” This collection of huge boulders in a wild array of shapes and sizes was developed as an attraction by Garnet Carter, the inventor of modern miniature golf, and his wife, Frieda, a devotee of European fairy tales. 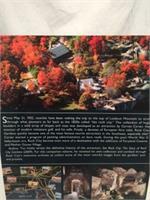 Rock City Gardens quickly became one of the most famous tourist attractions in the Southeast, especially after Carter started a program of painting advertisements on barn roofs. 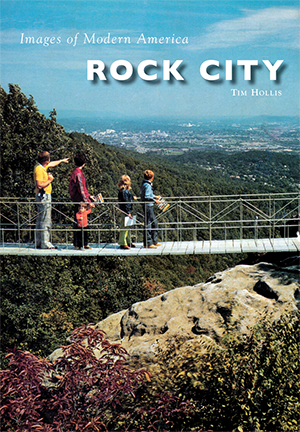 During the post–World War II baby-boom era, Rock City became even more of a destination with the additions of Fairyland Caverns and Mother Goose Village.